WHILE The X-Factor failed and won't return for a second season, the winners of the talent search program haven't let that deter them. Harmonious five-piece Random is still going strong and will give its first Newcastle performance during R'n'B Superclub at Fanny's on Friday night. Xy Latu, Jesse Tolo-Paepae, Wayne Tauvao, T.J. Tauvao and Donald Tauvao have become incredibly close since they got together. It was by chance Random formed. Latu and Tolo-Paepae arrived at the Brisbane auditions as a duo named Rough Diamonds while T.J. Tauvao came to try his luck as a solo artist, with brother Wayne and cousin Donald in tow for moral support. The five, who met briefly before at a youth talent quest and at a K-Ci and JoJo concert, began jamming in the queue and decided to form a group. Their popularity soared on the show and eventually Random won the contest. 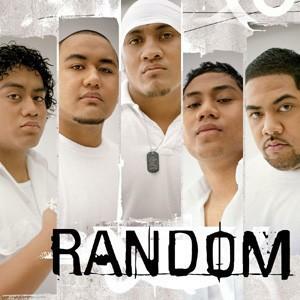 Random released its first single, Put Your Hands Up, after winning. It reached number seven on the ARIA chart while the second single, Are You Ready, peaked at 36. Another coup came when Random was invited to support US soul group Boyz II Men on tour across Australian and New Zealand. The group's self-titled debut album was released in October. ``Our sound is sort of soul, definitely R&B, a bit of hip-hop, a bit of pop, a bit of everything,'' Latu said. ``It's really different to what we did on The X-Factor where a lot of the songs we sung were mainly just for entertainment, for the crowd to get to know us. ``But we've got this whole other side of us that people haven't seen yet . . . a really smooth, serious side to music. Not just as entertainers but musicians as well.'' Supporting Random, who are on stage from 11pm, will be DJs Jaytee, Ules, Stevie K and Madd. Entry costs $10.